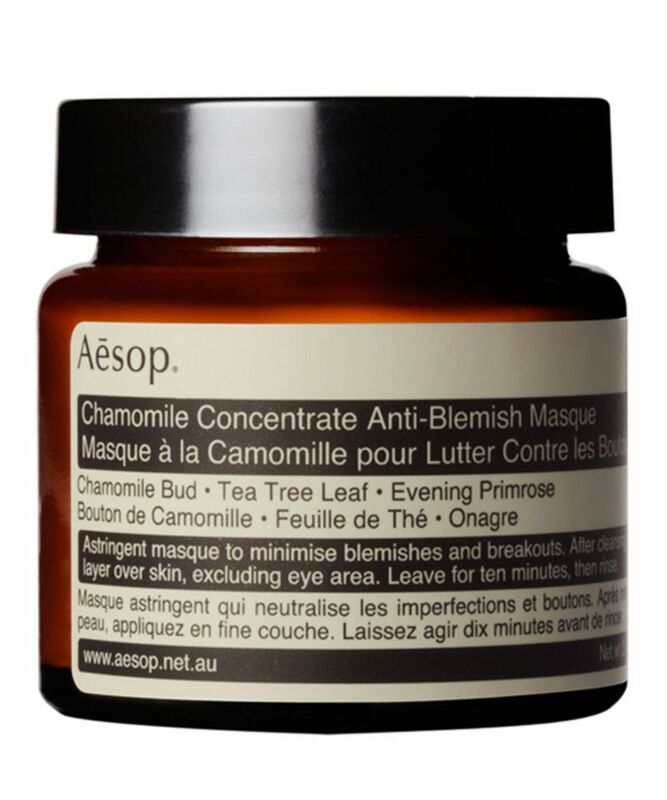 Like all thing Aesop, Chamomile Concentrate Anti-Blemish Masque delivers everything it promises. It doesn't cure acne, but it will treat those dreaded eruptions quickly and efficiently without stripping your skin or leaving it tight. Chamomile calms irritation and alleviates redness while clay draws impurities to the skin's surface, to forestall future breakouts for a clear, balanced complexion. 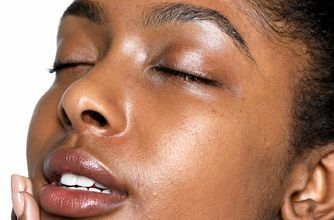 Blemish-be-gone! 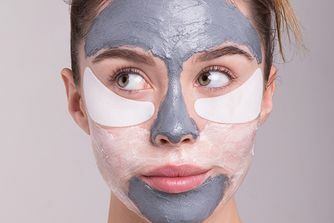 Stress, diet and hormones can all wreak havoc with our skin's harmony but Aesop have come to its rescue with their clay-based Anti-Blemish Masque. With antibacterial tea tree leaf, rosemary, sage, lemon peel, soothing chamomile bud and evening primrose extracts, it reduces inflammation and draws out impurities without compromising skin's delicate balance. A great stand-by for when you start to feel that tingle, or if you want to ensure you have a spot-free week ahead. Apply a thin layer all over skin, or a thicker layer concentrated on the affected area. Leave for ten minutes, or overnight to treat more stubborn spots or congested skin. Water (Aqua), Kaolin, Bentonite, Alcohol Denat., Glycerin, Oenothera Biennis (Evening Primrose) Oil, Rosa Canina Fruit Oil, Phenoxyethanol, Citrus Medica Limonum (Lemon) Peel Oil, Ormenis Multicaulis Oil, Rosmarinus Officinalis (Rosemary) Leaf Oil, Melaleuca Alternifolia (Tea Tree) Leaf Oil, Salvia Officinalis (Sage) Oil, Leptospermum Petersonii Oil, Methylchloroisothiazolinone, Methylisothiazolinone, d-Limonene. Even though I was skeptical about Aesop skin care, due to the previous disappointing experience, I was not disappointed in that mask at all! I use it when I really need it - when my skin suddenly gets covered in pimples or red blemishes and, honestly, I can see the result overnight! The pimples shrink and dry out and the blemishes and the dark spots fade. The mask really clears up the skin and soothes it. Moreover, the small amount lasts long! Worth the money. I started suffering with incredibly sore acne for the first time in my life last year. I have very sensitive skin so have had my fair share of trouble in the past using products that have too many harsh chemicals (Clinique nearly took the first layer of my skin off). Since using this mask twice a week along with the rest of my Aesop routine (cleanser / moisturiser/ exfoliation twice a week and the control gel) I have seen an almost amazing improvement – the spots reduce quickly and it’s so soothing. Following some advice I also sleep with it. On the particularly bad areas, with some having reduced and others have gone altogether. Although it is not a huge pot, it lasts for ages as you only need a very thin layer and so worth every penny. This is a god send and I couldn’t imagine my skin regime without it. I tried this and didn't see much in terms of improving the outlook of my acne, even though I understand it is not a cure, but it certainly isn't a comfort to my skin either! I absolutely love this mask. Now, it doesn't work miracles so don't expect that, but it's a damn good mask for acne-prone skin. It definitely calms any redness, and I see my spots dry up a lot faster after I use it. I've had mine for almost a year now, and I use it anything from three times a week to once a fortnight, depending on the state of my skin. I leave it on for as long as I can, and I also use it as an on-the-spot treatment for particularly nasty cysty ones. It might be expensive, but it lasts ages, making it quite economical. skin type: combination+very sensitive This mask is lovely! Calms any imperfections. Leaves the skin much smoother and softer. Very easy to wash off. I suddenly got really painful blemishes from changing my skin care routine (Charlotte tilbury skincare NOT suited for young skin!!) and this clearer it all up in two weeks! While this mask isn't a miracle worker, I felt it had a calming and comforting effect to my sensitive and easily irritated skin. Continuous use and spot treatment worked for some of my larger breakouts. Though this product doesnt seem to be harmful to my skin i just dont see any improvement while using it. No reduction in pimple size/black heads/ or even in appearance of pores. I think it maybe too mild for me. Trust me, this masque is pure gold! Perfect for any impurities - especially those nasty blackheads on my nose diminish after using this amazing masque. Totally recommended! 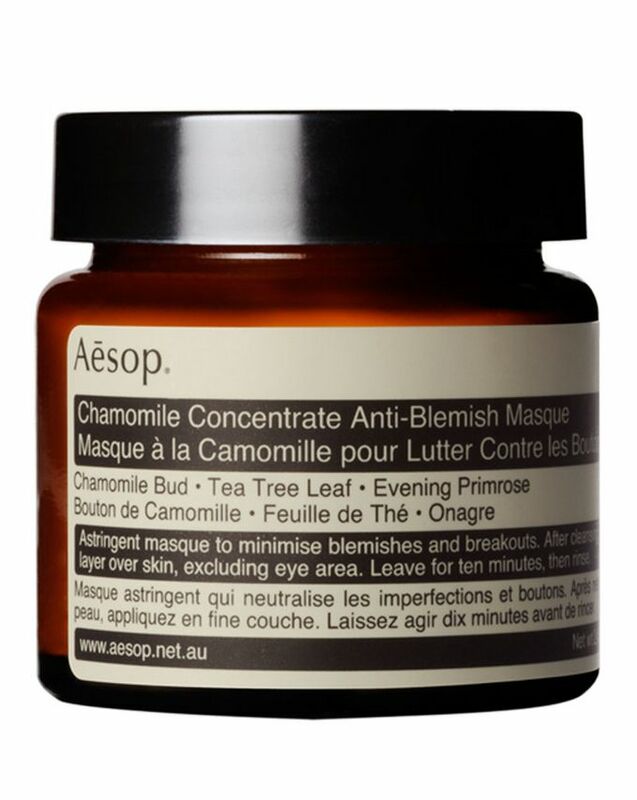 Bought this kind of by accident (I thought I was buying the other Aesop mask...) but am SO happy it ended up in my skincare collection. This stuff has a very mousse-like texture, minimal scent, and hardens the way typical clay-based masks do. I leave it on from 10-15 minutes and when I take it off, there is instant improvement in my skin (smaller pores, less redness). After using it once or twice a week for a few weeks I must say that this is an amazing mask that is worth the price tag and has noticeably improved my skin in terms of blemishes.